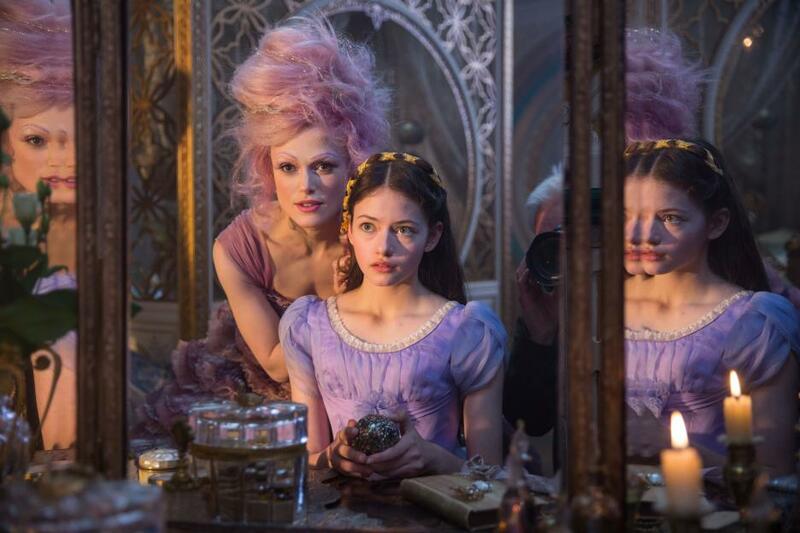 You are here: Home / Reviews / The Nutcracker and the Four Realms Review – A Delightful Action-Packed Movie for Children and Adults! 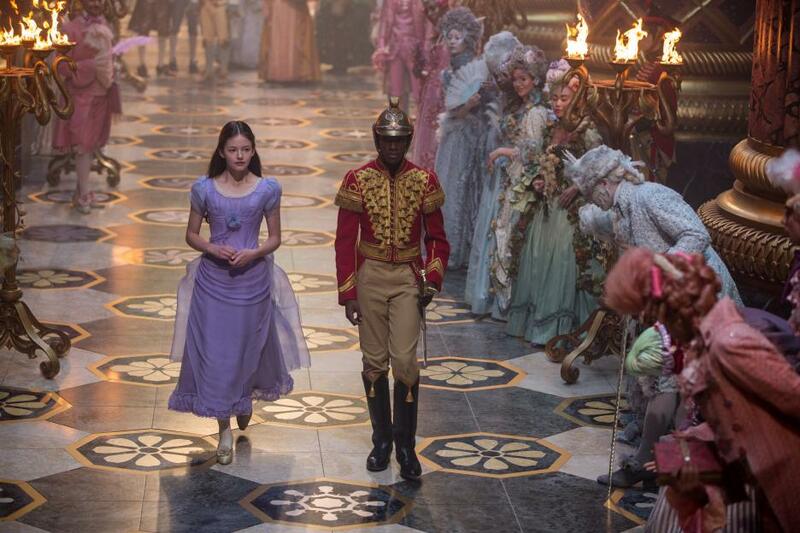 The Nutcracker and the Four Realms Review – A Delightful Action-Packed Movie for Children and Adults! 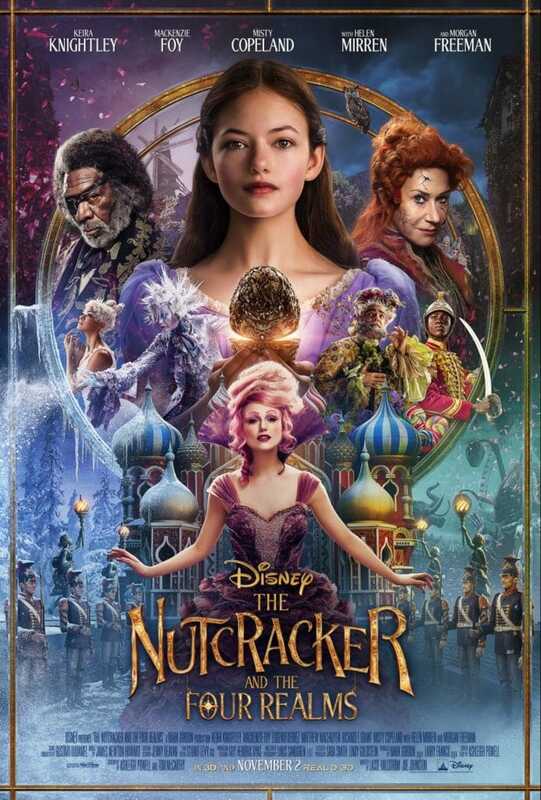 The Nutcracker and the Four Realms from Walt Disney Studios Motion Pictures is the perfect family movie for this holiday season. An amazing all-star cast brings the tale to life. 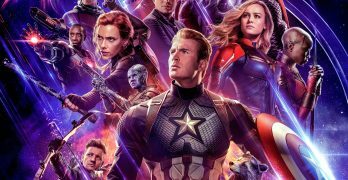 Available in several formats, the action-packed movie is sure to delight children and adults alike. A retelling inspired by the classic Nutcracker story from E. T. A. Hoffmann, the entire movie takes place on Christmas Eve. Before attending a party, Clara’s father hands out a special gift left to each child from their mother whom has recently passed away. Clara’s gift is an ornate silver egg, but it’s missing the key to open it. It needs a special key because the locking mechanism is a pin tumbler—it cannot be picked. Clara is a mechanical-minded child, in modern terms: a STEM girl, ahead of her time, just like her mother. Inside the box, Clara finds a note from her mother letting her know everything she needs is inside. Clara feels the answers to everything will be inside this egg. En route to the party, Clara promises her father a dance. After arriving to the party at her godfather Drosslemeyer’s home, she seeks him out in his laboratory. Knowing he made the egg, she hopes he has the key. Seeing her grief, he assures her she was her mother’s greatest gift and knows she will find the key. Returning upstairs, it’s time for the children to find their gifts. Each goes to the gazebo and follows a thread which leads to a gift. Clara’s golden thread follows a labyrinth of sorts throughout the mansion and leads to a parallel world which runs on a faster time dimension. As she’s about to grab the key, a mouse steals it from her. A chase ensues, and she is rescued by Captain Phillip, a live Nutcracker, who serves as her protector throughout the movie. In this world, Clara learns her mother was the queen and toys have come to life. There are Four Realms: Land of Snowflakes, Land of Flowers, Land of Sweets, and the Fourth Realm has been denied its name of the Land of Amusements. The three former named realms are at war with the Fourth Realm and its leader Mother Ginger. Chaos has ensued. Sugar Plum Fairy convinces Clara she must get the key to help win the battle. The key will operate a needed mechanism in the Palace in the middle of the Four Realms. Clara, along with a band of volunteers from the other Three Realms, manages to fight the gang of mice and Mother Ginger’s clown jesters to secure the key. Mother Ginger tries to warn Clara things are not as they seem, but Clara doesn’t believe her. Clara uses the key to unlock the egg, but it appears empty, so she feels even more disappointed in the gift. Upon returning to the Palace, Clara learns Sugar Plum Fairy has tricked them all. Sugar Plum Fairy steals the key, locks up Clara, and uses the power of the keyed mechanism to turn tin soldiers to life. As Clara further examines the egg, she finds the answer is within herself and this message empowers Clara to fight back. Clara must escape imprisonment and enlist the members of the other Realms to stop Sugar Plum Fairy as Clara makes an attempt to seize the key to restore harmony to the Four Realms. Clara succeeds and uses Newton’s Third Law to reverse Sugar Plum Fairy’s evil doings. After setting everything to rights, Clara must return to the real world. Clara has a better understanding of her father’s grief. She dances with him and apologizes for some hurtful words she said earlier in the evening. 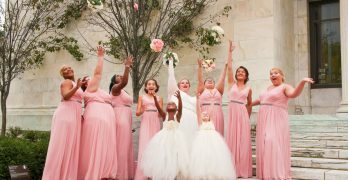 Her family finds joy in the holiday in spite of their grief. This inspired tale is different than the ballet versions and has its own Disney spin. With adventure, a strong female character, battle for the Four Realms, and beautiful music, it’s a charming movie for the holiday season. The Nutcracker and the Four Realms is sure to entertain the entire family. The Nutcracker and the Four Realms is now playing in theaters everywhere! I used to watch the older movie version all the time when I was a kid. Looking forward to watching the new one!